Today, Monday 25 June 2018, the Government published Chapter 2 of their Childhood Obesity Plan. Chapter 1 was widely criticised for being too weak when it was launched two years ago. The revised Plan includes new Government proposals to halve childhood obesity in England by 2030. However, there are areas where the Plan falls short, including in its actions related to school food. “The Government is rightly getting credit for bold new policies on junk food marketing but they appear to have got away with hiding their School Report. 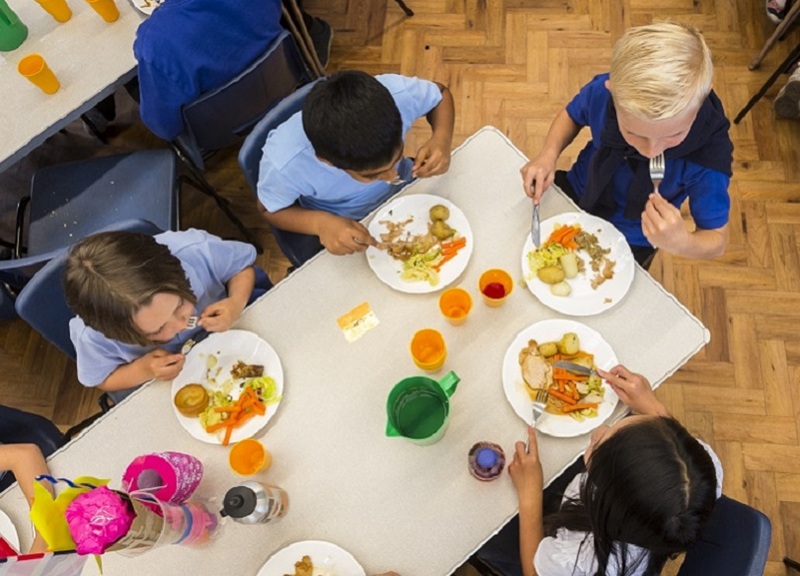 Two years on from the first Obesity Plan the Government is yet to implement any of the actions that relate to school food. This updated Plan leaves us none the wiser as to when the Healthy Rating Scheme will be developed, what Ofsted’s role will be in relation to the Scheme, and whether the Secretary of State is going to lead a campaign encouraging all academy schools to meet the School Food Standards. It is also nonsensical that Government is pressing ahead with public health budget cuts, even as it aspires to tackle rising obesity rates. We are concerned that the Plan will fail to deliver unless a more joined-up-approach is taken. We welcome Ofsted’s research into a healthy Early Years curriculum, but the Government should also ensure that Early Years settings are properly funded – the 30 hours childcare policy is a wrecking ball that is devastating the ability of the sector to serve healthy food. The Government must also recognise that healthy eating is about more than cutting calories and sugar. Reformulation programmes are part of the puzzle, but we all – and children in particular – need nourishment, not just a healthy weight. What we do eat counts as much as what we don’t, for both our mental and physical health, so let’s not pretend that diet drinks and artificially sweetened 0% fat yoghurts represent any kind of answer. The UK already eats four times more processed food than fresh. Where are the policies that help us rediscover the joy of real, fresh, unprocessed food, eaten around a table together?